Satin white - The image refers to the same article in another finish. The box shows the effective finish. 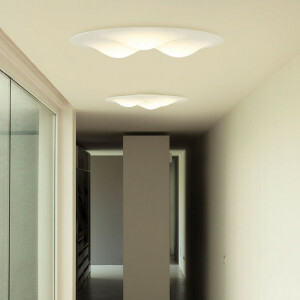 Ceiling lamp model Circle Wave, diameter 89.2 cm. Ceiling lamp that is lit by light dunes. LED lighting to enhance the play of light and shadows. Warm 3000K. 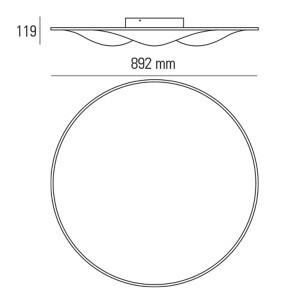 Designer ceiling lamp, 65.2 mm diameter. 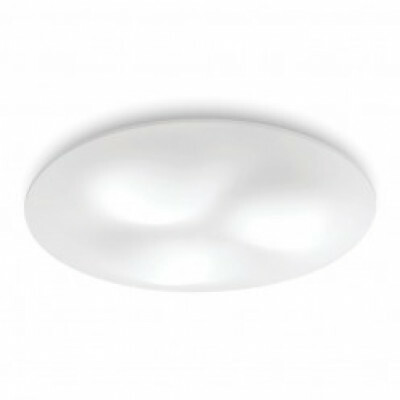 Thermo-perforated satin diffuser in PMMA. Special lamp formed by small dunes of lights to create special effects of lights and shadows. LED lighting. 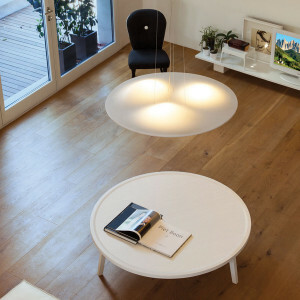 Pendant lamp, Circle Wave model. Circular disc made ? ?by special dunes of light to create interesting contrasts of light and shadow. The diffuser is satin thermo-perforated PMMA. A modern design lamp for the living room or exhibition spaces. 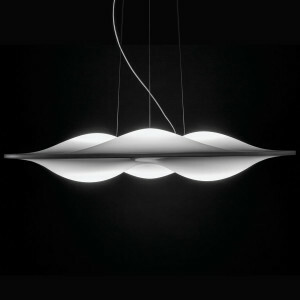 Suspension lamp from the Ma&De catalogue. Dune effect light to create a game of light and shadows. A lamp ideal for lighting kitchens and living rooms. The diffuser is made of PMMA satin thermo-perforated. SMD LED lighting.